As they prepare to move on without Bryce Harper, the Washington Nationals have had a rather busy offseason. 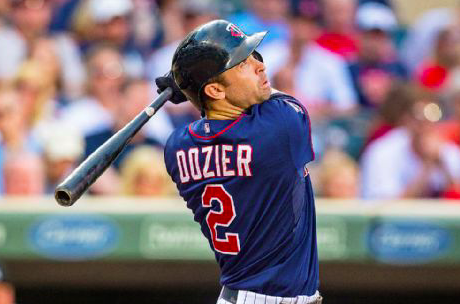 That continued on Thursday when the club agreed to terms with second baseman Brian Dozier. The Nationals and Dozier have agreed to a one-year deal worth $9 million, although part of that salary will reportedly be deferred. In recent years, Dozier has become one of the more productive second basemen in baseball as a member of the Minnesota Twins. In 2016, he hit a career-high 42 home runs and posted an OPS of .886. He followed that up by hitting 34 home runs and producing an OPS of .856 in 2017. However, Dozier had a world of trouble this past season, as his OPS dropped below .700. A midseason trade to the Dodgers didn’t do much to help Dozier, who continued to struggle late in the season and only got 16 at-bats with Los Angeles during the postseason. Despite a rough 2018 season, Dozier is a good bounce-back candidate for the Nationals. He’ll turn 32 in May, so he’s likely past his prime but should still have a few good seasons left. Even with a disappointing .215 average last season, Dozier still managed to hit 21 home runs and 30 doubles. He still brings plenty of power to the table even if he can’t bring his average and on-base percentage back to what they were a few seasons ago. As for the Nationals, they’re hoping that Dozier will provide a viable replacement for Daniel Murphy, who signed with the Rockies in free agency. Murphy spent the last three seasons as Washington’s primary second baseman and one of their most impactful hitters outside of Harper. Prior to signing Dozier, the Nationals were set up to use Howie Kendrick and Wilmer Difo at second base. However, the aging Kendrick is coming back from an Achilles injury he suffered last May. Difo, meanwhile, is sound defensively but doesn’t provide much offensively. To be fair, there’s likely to be some drop-off from Murphy to Dozier. He’s not a huge upgrade over Murphy defensively and even Dozier’s best years were far below the productivity Washington got from Murphy in 2016 and 2017. However, signing Dozier for one season does make him the perfect stop-gap for the Nationals. Washington is hopeful that prospect Carter Kieboom will be big league ready by the start of the 2020 season. While a natural shortstop, Kieboom projects as a second baseman with Trea Turner entrenched at shortstop. In that sense, it was best for the Nationals to sign a second baseman to a one-year deal. Ultimately, Dozier should turn out to be a nice addition for the Nationals. He gives Washington’s lineup another veteran hitter to complement some of their younger hitters. Rather than relying on Kendrick and Difo, signing Dozier should help the Nationals replace some of what they’re losing with Harper and Murphy. However, whether it’ll be enough to make Washington contenders in the NL East remains to be seen.